Having six people in the house almost 24 hours a day, 7 days a week, the house can become a disaster. Dishes piling up, clothes that need washing and putting away, even just the simple job of sweeping can cause tantrums. But it doesn’t have to be that way! 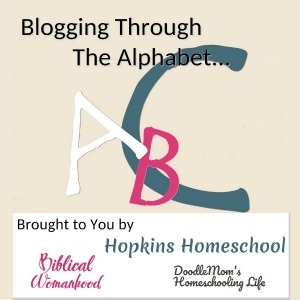 Everyday Homemaking has a great system in The Everyday Family Chore System. 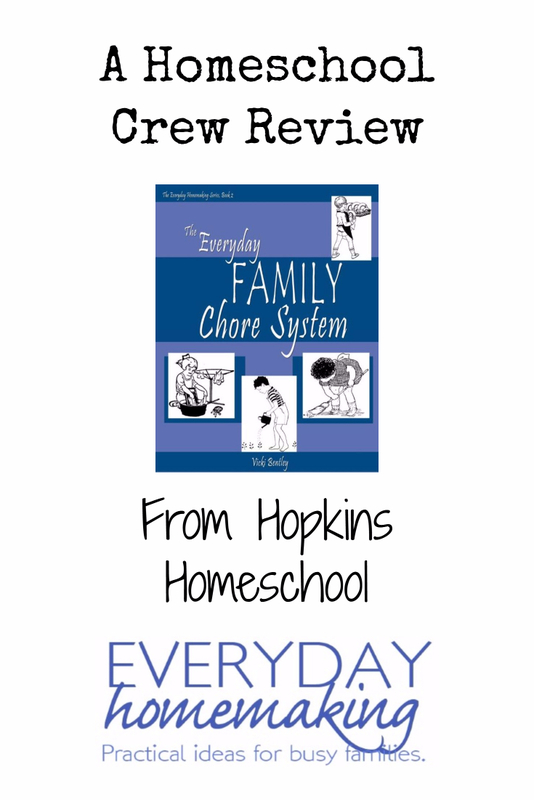 The Everyday Family Chore System is a PDF book that not only gives you background on the chore system and how it was formed, but also all the charts and printables that you would need to make this a success in your house! This is not just a chore chart system that you print up and use. This is one that you make for your family. 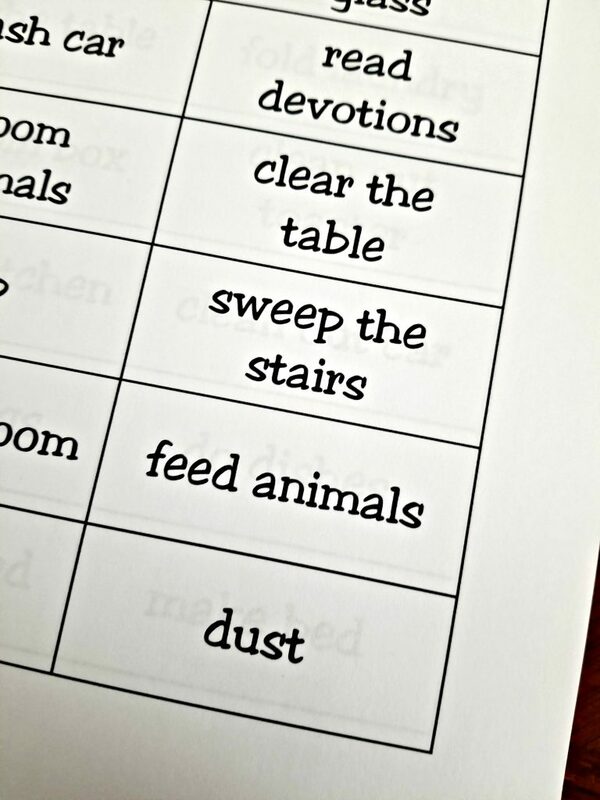 You can pick and choose the chores that are needed in your house. 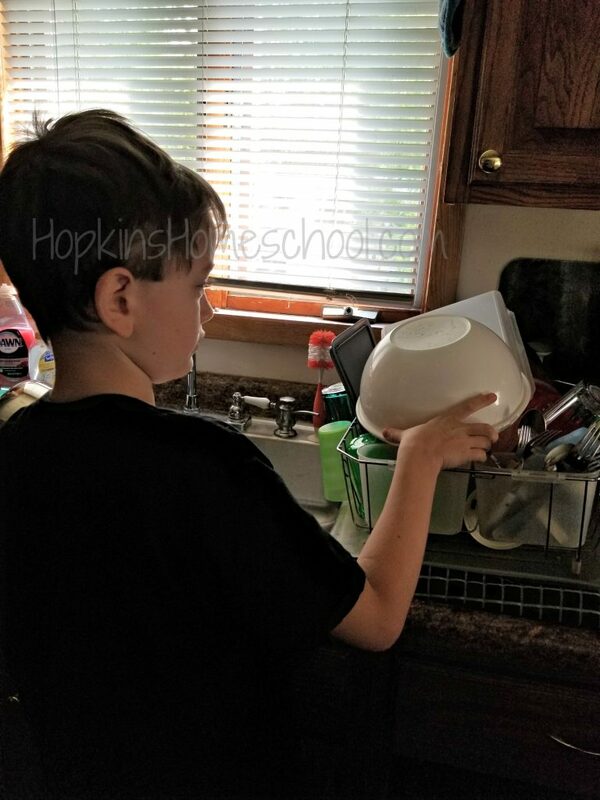 In our house, I would love to have unload the dishwasher, but that is currently broken, so I need help with dishes or wash dishes, depending on the child. This is a plus for me. I don’t have to pretend to be a family we are not. There are three parts in this system. 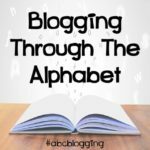 Part One talks about Laying a Foundation. 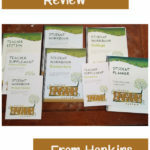 This is where we learn about why it is a good idea to have a foundation in action for your family. There are two main purposes for implementing the chore system, according to the authors, to train your children to be responsible members of the household and to teach them living skills. I truly agree with both of these! I don’t want to send any of my children, male or female off into the world, unable to take care of themselves, and even living alone for some time. By teaching and training them now, I know when they are out of the house, they will not be lost when the dishwasher breaks, and will still have clean dishes! Part Two is Implementing the Plan. This is when you assign the responsibilities, teach the child how to actually do the chores and work on motivating them to get their chores done. This is the section that I loved. 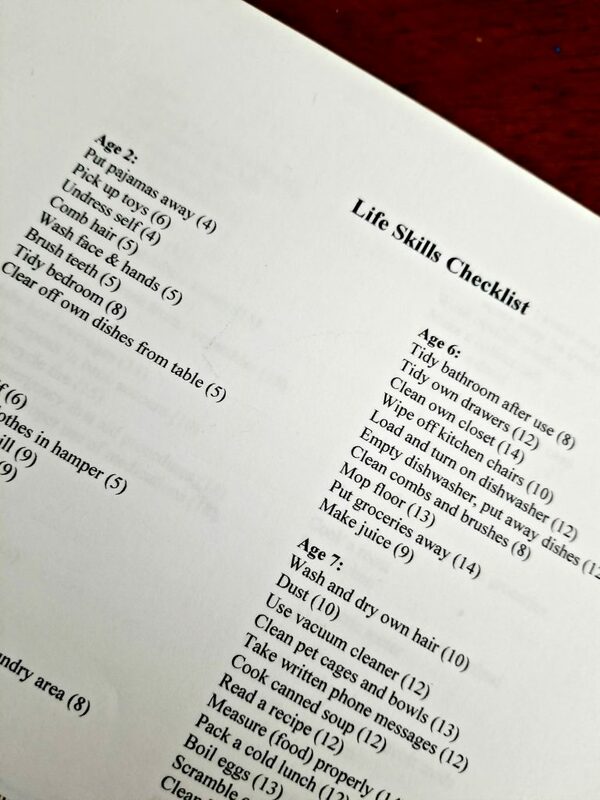 I loved that there was Life Skills Checklist. This is broken down by age and gives you goals for each age. I know that even though Baby Girl is 2, she does not know how to do all the life skills on the chart, but this gives me something to work with her on this year. The same goes for all the others. This list shows me where we need to focus for each child. I am able to tailor this system to work for each child and this family as a whole. Not only do we get to check out the life skills, but now is the time we need to think about our family. What are the chores that NEED to get done each week? Once I figure those out, I can work on our rotating schedules. This is the schedule that will rotate, daily, weekly or monthly among the children who are able to do the chores. 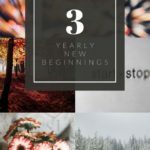 All three of the bigger kids are included in this, with Baby Girl getting added in on things she can do to help the older sibling with that chore when it is up on rotation. There are numerous different ways to implement this system. I looked through all the ideas and I decided to use the Kids on a Mission idea. However, I did this a little different. I had cups with each of the kids names on them. I would put the chores on rotation for them that day/week/month, into their cup. I did not add the clothespins and make the children attach them to themselves for the day, instead, they needed to complete their cup each day before screen time was allowed. If you know my family, this is a big deal! Each time the chore was done, they would give that slip to me or dad. We would make sure that chore was done, and if things needed to be improved on, we would work with the child one-on-one to fully complete it. 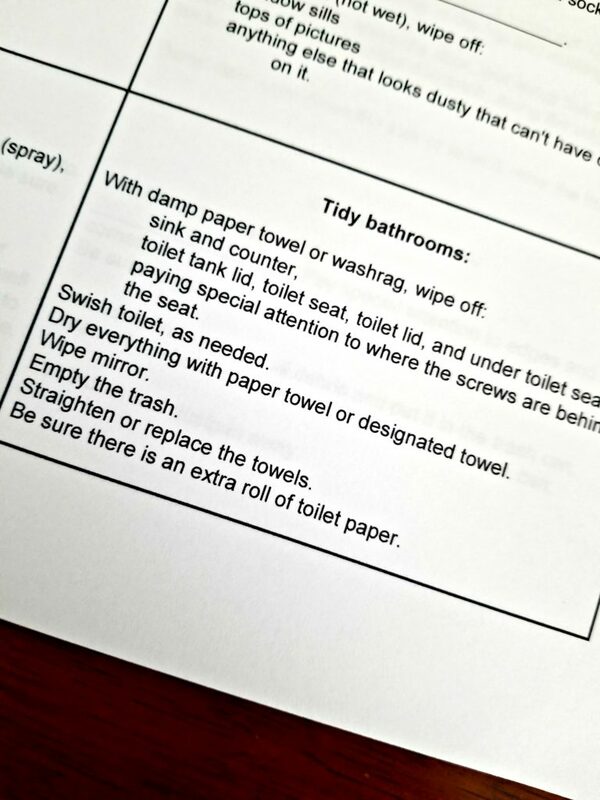 Part Three is The Actual Chore System. This is where you are going to find the items you need to implement the system. The reproducible pages that you can print up, and some really great How-To-Do-It cards that will help your children remember how to do certain chores. These How-to-cards are easily available next to our cups. If the child on rotation that week had a chore they didn’t understand, or mom and/or dad noticed it wasn’t done all the way, we would pull these cards out and go over it. These were my lifesaver! 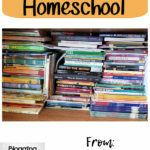 Everyone loves a cheat sheet and it is no different when it comes to learning chores! First things first, we are not a perfect in our chore system yet. We are still a work in progress. However, we have come a long way since we first started. The kids no longer fight me when I mention chores. They are not doing them to “my standards”, but I have learned to lower those as they are learning what needs to be done. I no longer have to do everything and have some time to myself that does not include clothes or sweeping. Ray Ray is super excited that he now knows how to make scrambled eggs…yes, I was that mom that thought I had to do it all, until I realized my kids couldn’t even cook for themselves! Everyday Family Chore System has changed the way I looked at things around the house. No, my house is not magazine worthy, but it is live in worthy, without a stressed-out momma. This is an improvement that needed to be done. I am thankful that I have lessened my load, yet had a cleaner house because of it. How often do you say those words together? I’m so glad you were able to adapt the system to fit your specific family needs –that’s the goal! Thanks for giving it a try, and I hope it helps reduce the stress levels. 🙂 Thank you for your review. We love it! I have tried charts with no background information, and they just fizzled. This is one that is working. A happy mom is a happy home, right?